CATHSSETA is proud to present this year’s edition of the National Tourism Careers Expo, which will be held from 29 September 2016 to 1 October 2016 at the Performing Arts Centre of the Free State (PACOFS) in Bloemfontein. Hosted in partnership with the National Department of Tourism and the Free State Department of Economic, Small Business Development, Tourism and Environmental Affairs, NTCE is targeted at learners and unemployed graduates and showcases careers in travel and tourism and related sectors. Find out more about this event here (http://tourismcareers.co.za/). The Department of Higher Education and Training has extended the appointment of the Administrator of CATHSSETA, Mr Pumzile Kedama, for a further six months to 15 April 2017. The Culture, Arts, Tourism, Hospitality and Sport Sector Education and Training Authority (“CATHSSETA”) is a sector education and training authority duly established in terms of section 9 of the Skills Development Act, 1998 (Act No.97 of 1998). In terms of the Government Notice, CATHSSETA was placed under administration on 15 October 2014. In terms of the Government Notice, the Administrator is empowered to review the CATHSSETA Constitution. 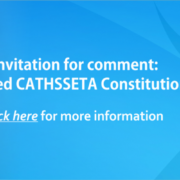 The CATHSSETA hereby invites members of interested and affected stakeholders, including members of the general public, to comment on the draft Constitution of the CATHSSETA in writing. The draft Constitution is available on the CATHSSETA website at https://www.cathsseta.org.za (under recent articles). CATHSSETA hereby invites applications from stakeholders and legal entities who fall within the CATHSSETA scope. Please note that only online applications will be accepted. To apply, please visit the CATHSSETA grants online portal, www.cathsseta.grantsportal.org. 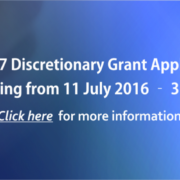 Click here to download the Discretionary Grants Advert Document.